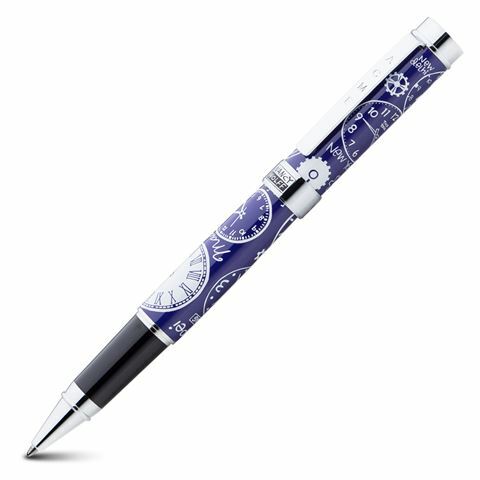 Designed by New York-based artist Nancy Wolff, the Clocks Rollerball Pen features a number of clock styles from around the world, rendered in a playful style. The capped style prevents the rollerball ink from drying out, and upon the cap’s ring is the signature of the artist, accompanied by Acme’s stamp upon the pocket clip. An Acme Studios pen is a pen that will remain in vogue for decades to come.